It is that time of the year again, and graduation parties are happening every single weekend. 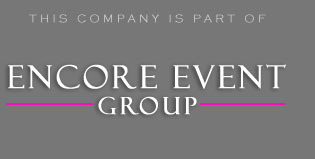 This time Encore was hired to light up and Howell graduation party with both Corrin and Matthew. They held a double grad party at their house to save time and money. These have become quite common nowadays in Michigan. It seems that we did probably a couple of dozen events that had multiple guests of honor. What was great is that besides the family and friends, a lot of neighbors also stopped by to congratulate both Matthew & Corrin. If I was a neighbor, I would have to stop by to see what was going on. The family made sure guests were entertained at the party, that’s for sure. Besides having us do the music, there was also a dunk tank and several bounce houses. It was like there was a mini carnival in their backyard. Matthew even got inside the tank and let his friends dunk him. It got a laugh from everyone. Something to keep in mind, is that it can get hot outside in the summer time. The event was held in their backyard outside. So there were 2 tents setup for seating. As family and friends arrived they either walked around to enjoy the entertainment or grabbed a plate of food. You have to remember that at family functions you will have older guests in attendance. You want to make sure you keep them comfortable by providing an area that is protected from the elements. It is amazing at how much of a relief just a little bit of shade can provide. The sun started to set and that meant it was time for our DJs to get up on stage. We used almost 20 lighting fixtures to make their entire garage and side of the house light up. They really liked how our solution made it changed colors with the music as we mixed between sets. It was really amazing to see how the monogram looked once the sunset. Monograms are popular at celebrations like Michigan wedding receptions, but can also be used for private parties and high school proms. The music was awesome, because they had complete control over it with their online planner. All the friends started to request songs at the disc jockey booth. We even got mom up for a couple of songs that she told us about with her top song list. Thanks for having us help your family with the party! If you are trying to find a company that can bundle popular services, then click the large picture you see underneath.